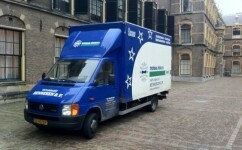 Henneken also runs a removal shop specifically for the D.I.Y. mover. Here you can buy a wide range of products, such as removal boxes, bubble wrap, packing paper, furniture trolleys etc. Rates can be obtained on request.